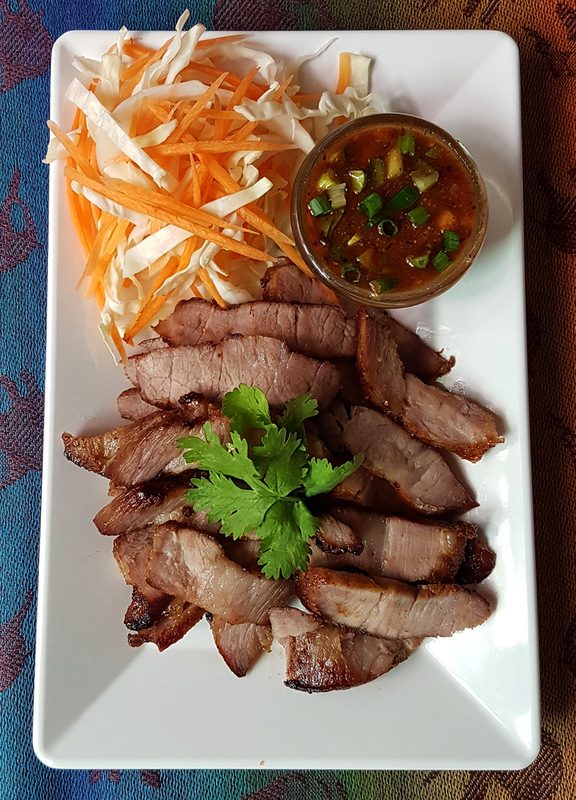 Grilled Pork Neck (kor moo yang) is a simple yet richly tasting Thai dish with a savory dipping sauce (Nam Jim Jaew). 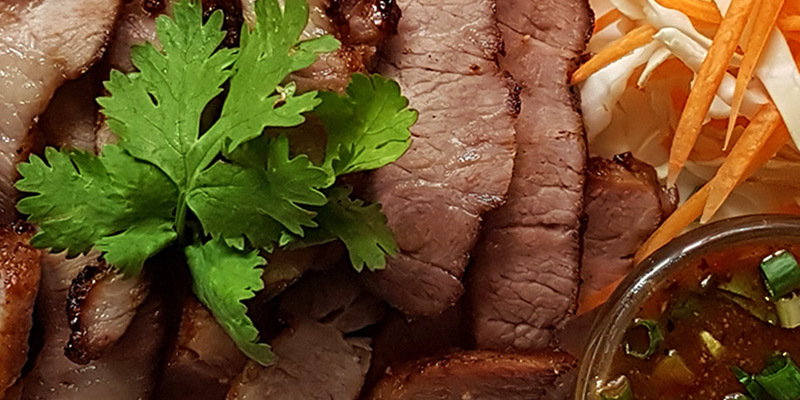 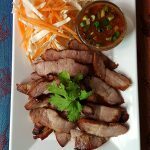 Thai grilled pork neck has a nice balance of lean meat and tender juicy fat making it very tender and tasty. 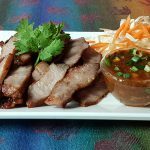 Combing that with the savory and rich sauce its truly a tasty treat that gets even better served with white sticky rice (Khao Niaow).